The Royal Palace of Madrid is located in Madrid, Spain. This picture was sent in by SC. He writes: "The [palace] is not very interesting, although it has great historical value. 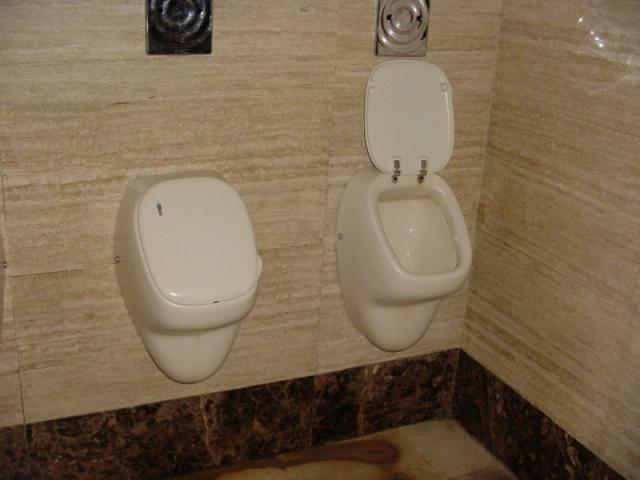 Anyway, you can see the urinals are funny, they even have their own covers."